My last post on Kentucky was about how Republicans were taking over legislative control in Kentucky in 2017, after 95 years of Democratic control. So it’s not surprising that as the new party took over, there was a pent-up demand for all sorts of legislation. I assume this is going to be a 2017 theme: rapid legislation…. to the extent the rapid legislation is removing prior bad ideas, that’s great. But I do wonder about sloppy activity, which may make for rapid slapdowns of legislation as well. Already saw it for a a sloppily-written background check for gun sales law in Nevada. Living and working in two states where I have no hope of these changes occurring within my lifetime, I’m interested in the right-to-work legislation just passed in Kentucky. Republican lawmakers in Kentucky passed a bill on Saturday [January 7] making it the 27th U.S. state to allow workers the right to work in union-represented shops and receive union-negotiated benefits without paying dues to the representing body. Republican lawmakers in a handful of states have passed similar so called “right-to-work” and anti-union laws in recent years. Supporters say the measures spur economic growth while opponents cast the laws as assaults on organized labor and blue-collar workers that limit union revenues. A Kentucky Senate committee on Friday passed the “right-to-work” bill, sending it to the full Senate, which passed it during a rare Saturday session. “I personally have no problem with an individual opting to be part of a labor union … but government shouldn’t stand in the way of someone who opts not to join a union,” said Speaker of the House Jeff Hoover in a statement earlier this week. It is widely expected that Republican Governor Matt Bevin will sign the bill into law in the coming days. If so, Kentucky will immediately become the 27th state and last Southern state to enact “right-to-work” legislation. Kentucky has been unable to pass “right-to-work” legislation in the past because of its strong union ties across the state, labor leaders said. The Republican-led state Senate had passed similar bills in recent years, but House Democrats refused to hear the bills. Well, that sets a theme to kick off the legislative year. Kentucky’s prevailing wage act, similar to other states’, required contractors to pay certain hourly rates based upon job classification and duty to workers employed on public construction projects. Those rates are considered “prevailing” because they are based upon union contract wage rates for similar work. Opponents of these acts say that they drive up the cost of public projects. Adherents say they force employers doing public work to maintain wages and working conditions. In Kentucky, hundreds of demonstrators packed into the Capitol building Saturday to protest the state Legislature’s passage of a slew of controversial bills, including an anti-union “right-to-work” law and extreme anti-choice legislation that bans abortions after 20 weeks and requires a woman to have an ultrasound before having an abortion. The surprise emergency legislative session Saturday came after Republicans seized a supermajority in the House of Representatives, giving the Republicans control of the House, the Senate and the governorship for the first time in Kentucky state history. On Saturday, the Legislature also repealed a law that had guaranteed higher wages for workers on publicly financed construction projects. We go to Louisville, Kentucky, for an update from Richard Becker, a union organizer with Service Employees International Union, and we speak with Lisa Abbott, a community organizer with Kentuckians for the Commonwealth. AMY GOODMAN: For more, we’re joined by two guests. Joining us in New York, Lisa Abbott is community organizer with Kentuckians for the Commonwealth. And in Louisville, Kentucky, Richard Becker is a union organizer with Service Employees International Union. We welcome you both to Democracy Now! Richard, let’s start with you. The capital is actually not Louisville. The capital is in Frankfort. But you’re speaking to us from Louisville. Describe what happened in the Legislature and outside. RICHARD BECKER: Well, thanks, Amy, for having me on this morning. What we saw on Saturday was a response to what had been a week of legislation being passed out of this new House of Representatives at an unprecedented breakneck speed. On Tuesday, new members were sworn in, and by Wednesday the House Economic Development Committee was passing right-to-work out of committee before freshman members had even had phone lines set up or office space set up. And the bills were, of course, as you said, passed out of both chambers on Saturday and got the governor’s signature later in the weekend. Union members flooded in from across the state, from Paducah to Pikeville, to come to Frankfort so that they could have their voices heard. They had been shut out of the committee rooms on Wednesday, while members of Americans for Prosperity were allowed into the committee room. Union members had been thrown out of the House gallery for daring to take photos of vote counts as they happened. And so, you had a lot of angry people, people whose very livelihoods, the way they feed their families, were on the line. And they came out in droves Saturday, bright and early, before the sun even came up, to make their voices heard, as you heard in that video of Representative Rand speaking. RICHARD BECKER: Yeah, so, we had House Bill 1, which was the so-called right-to-work legislation. There is, of course—before Kentucky passed it, 26 other states under this recognition. And that, just to quickly touch on what that is, is a law that allows workers in a unionized workplace to opt out of paying union dues, even while enjoying union representation and the benefits of a collective bargaining agreement. What it does is it erodes solidarity in the union, in that workplace, and it forces—unions under the law have to represent everybody in a workplace, whether they pay dues or not. 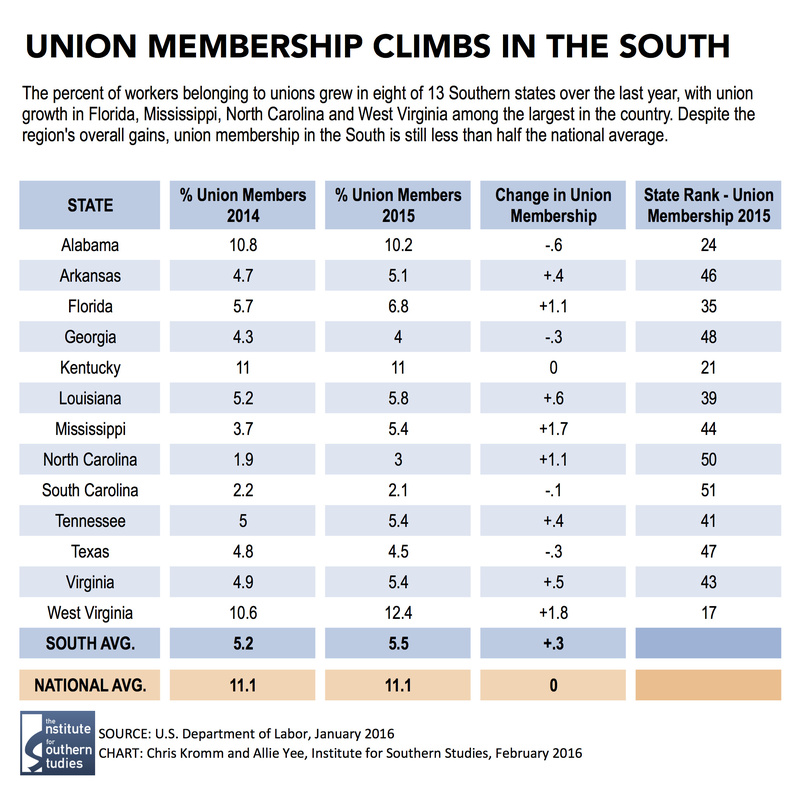 So it sets up a scenario that really weakens unions in the state that it’s passed. The other bill we had was House Bill 3, which was repeal of the prevailing wage law, which is a law that sets a minimum wage for skilled construction work on publicly funded projects and encourages local hiring for publicly funded projects. That bill passed, repealing prevailing wage. And then we had Senate Bill 6, which, as you referred to it—they call it the “paycheck protection act,” or we call it sometimes “paycheck deception act,” because, like all these bills, its true purpose is shrouded in a lot of mystery. That’s how Kentucky state Rep. Jason Nemes, R-Louisville, describes the successful push for right-to-work legislation that went down during Saturday’s special session of his state’s General Assembly. Nemes was elected in November along with a Republican wave that delivered the Kentucky House of Representatives to his party for the first time since 1921. “I’m calling it promises made, promises kept because we ran on worker freedom, we ran on right-to-work, and we ran on paycheck protection and on repealing the prevailing wage law. We delivered in just the first week of the new General Assembly,” Nemes told The Daily Signal in a phone interview. Kentucky labor unions, which held loud and boisterous protests in and around the statehouse in Frankfort, Kentucky, throughout the week and into Saturday, remain ardently opposed to the legislation the governor is set to sign into law. UAW Local 2164, United Food and Commercial Workers Local 227, and the Kentucky State AFL-CIO are among the unions that expressed strong opposition to the right-to-work bill and other labor-related bills that passed Saturday. Hmmm. Let me see what the Kentucky State AFL-CIO has to say. The Kentucky House and Senate convened on January 3, 2017 and in 5 days passed three anti-union Bills in an unprecedented manner. They were each signed by the Governor (above) under an Emergency Clause and went into effect on January 9, 2017. With one lone exception, every Democrat voted with Labor to oppose these Bills. A handful of Republicans voted with us to support the working families of their Districts. Labor’s interest in public policy go way beyond our own self-interest. Our goal to achieve and maintain a middle-class for all Kentuckians suffered a devastating blow last week. I have spoken with many active and retired union members who voted for Republican Legislators or the straight Republican ticket. Elections have consequences and we’re experiencing that now. No one will be immune from these policies that attack labor. Working members help fund retiree health care and pensions and as man-hours decrease so will the funding. Neuberger said it could therefore take as long as two to three years for Kentucky’s law to have an impact on currently unionized workforces. The new law also contains a provision preventing public employees from striking. Oh, I missed that bit. That will really kneecap public employee unions. 3) Pay to any charity or other third party, in lieu of these payments, any amount equivalent to or pro rata portion of dues, fees, assessments or other charges required of a labor organization. Additionally, under a new section of KRS Chapter 336, a public employer or a labor organization representing public employees shall not deduct membership dues of an employee organization, association or union from the wages, earnings or compensation of a public employee without the express written consent of the employee. The consent must be given prior to any deductions, and consent may be revoked by the employee at any time with written notice to the employer. That’s for both public and private employees. How about public employees specifically? High for the South, but about average otherwise. 22% for public employees in Kentucky in 2014. ….and I see New York has the highest public unionization rate at 72%. I guess I should tamp down my hope for any NY right-to-work laws. Connecticut is well up there, too. Legislative leaders gave a “sneak preview” Monday of the upcoming law-making session, saying Republican majorities in both the House and Senate will focus on jobs. Other major issues like tax and pension reform and constitutional amendments will have to wait, they said at a legislative preview conference of the Kentucky Chamber of Commerce at Lexington’s Marriott Griffin Gate Resort. About 300 people attended. The priority of Kentucky’s 2017 General Assembly, which begins Jan. 3, will be “to figure out how to create a better business environment to create jobs,” said Senate President Robert Stivers, R-Manchester. He was joined on a leadership panel with Senate Majority Leader Damon Thayer, R-Georgetown, and new House Majority Leader Jonathan Shell, R-Lancaster. The session will mark the first time Republicans have controlled the House since 1921. They have controlled the Senate since 2000 and gained control of the governor’s office last year. Thayer said the state’s business community “will be pleased” with the 2017 law-making session that runs for 30 days through March 30. So we’ve got three laws passed, which can affect employers with unionized workers (or workers that others are trying to unionize), as well as government contracts. All in the first few weeks of a 30-day session. The KY legislature doesn’t plan on dealing with pensions til the fall, and I guess I understand that prioritization given each legislative session is only 30 days. But that’s not my prioritization — look for a couple more Kentucky posts next week, specifically about the pensions. Go here for a compilation of Kentucky-related posts.